We have been hearing recently about the trend away from narrative fiction as the choice of a new generation....Haven comes at us with the most articulate defense of story as an essential element in education....He looks at the tradition and examines the research behind story to make his major point that we cannot ignore this genre and that we do so at the peril of effective teaching and powerful teaching strategies....In the face of drill-and-kill reading programs, Haven reminds us that story can be and is as powerful as ever. Bottom line: This is a good read. A powerful reminder. Thanks, Kendall. Descriptions of the science discoveries that have defined the flow of human development. Each entry includes the history that led to this discovery, the process of its discovery, and its impact on later generations of scientists and science exploration. Libraries Unlimited. Grades 6 and up. 272 Pages. $35.00. Descriptions of how each of these critical inventions came to be as well as its effect on our modern lives. ach entry includes details on the inventor and the processes by which they reached these history-altering inventions. Libraries Unlimited. Grades 4 and up. 360 Pages. $42.00. An engrossing look at 16 major science mysteries scientists still argue about today—from time travel to the existence ghosts, from faster-than-light travel to ancient Atlantis. 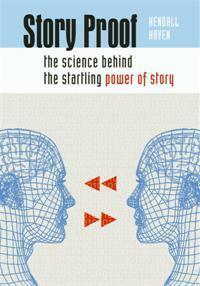 Each section includes both a fascinating story and a summary of what scientists really know. Fulcrum. Grades 4 and up. 256 Pages. $20.00. An introduction to Earth Science through the eyes of traditional myth. Each concept of how the land is formed and changed is introduced through myth that is then compared with current science knowledge. Libraries Unlimited. Grades 4 and up. 240 Pages. $32.00. 27 thrilling, historically-accurate stories from home front to battlefield, from Eastern Seaboard to dust-choked far west. Libraries Unlimited. 30 gripping, historically-accurate stories reveal the rich drama and desperate struggle of our war for independence. Libraries Unlimited. "It isn't often that I pick up a book to review and find a great writing style as well as captivating content. Each well-written story begins with information about the animal or insect and sets the stage for a short story of its struggle as a prey or a predator. The book has a myriad of uses in the classroom. The stories are accurate, are colorful, and clearly demonstrate the interdependency of creatures of nature. They are also 'kid friendly' and provide questions that almost compel one to think about bigger issues, such as the balance of nature or the order of the food chain. Every story has well-defined sequence and highlights cause-and-effect relationships. 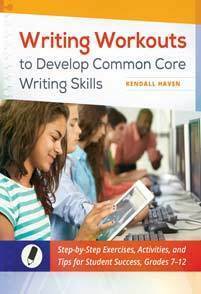 This book is an excellent resource for the classroom teacher." "The author is an extraordinary storyteller and readers of all ages will appreciate this book. Students will be spellbound by these stories as teachers read them. What a unique way to teach science! Highly recommended for a scientific and literary audience." "Excellent lead-in and follow-up ideas. This is a good book. It is so useful, so teacher-friendly, so full of lesson-plan material that it would be a good addition to any school or class resource center/library." "If you are looking for a creative way to enliven your school's science curriculum, this is the book for you. They are perfect for introducing or extending a specific science concept. Haven paints a well-balanced portrait of scientific discovery through the inclusion of men and women scientists from different cultures. A wonderful tool to inject new life and excitement into the study of science, this book is a winner." Forty incredible stories of great American heroines we all should know. A Storytelling World Silver Award winner. Libraries Unlimited. 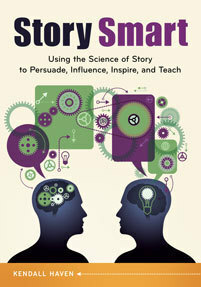 A fun, detailed, step-by-step system for learning, telling and using stories for every teacher and across the curriculum. Libraries Unlimited. A breakthrough system for teaching creative writing. 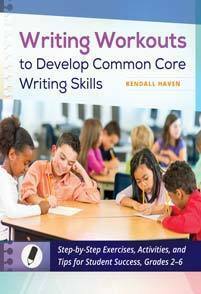 Includes detailed directions for almost 40 classroom writing exercises. Libraries Unlimited. With coauthor Roni Berg. 300 reproducible bookmarks filled with fascinating science/math information and dynamic graphics. Libraries Unlimited. Grades 1-6. 125 Pages. $29.00. and professional paths of successful 20th Century scientists. Physical, earth and life sciences are represented. Libraries Unlimited. 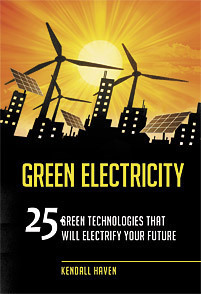 "The authors have done an excellent job in introducing a variety of scientists to younger readers. This work is unique in its simplified explanations both of each scientist's achievements and of the breath of disciplines displayed by the 100 biographies that make up the work. I recommend the book highly." MP3 Download Available. Book Out of Print. The hilarious farce adventure of everyone's favorite basement-dwelling terrors. Book/tape combo taken from Haven's wildly popular performance story.